To accomplish a full overhaul of the website, it was required to make updates in several phases to allow time for user retention testing. After a year of updates, product revenue went up 40% year over year. 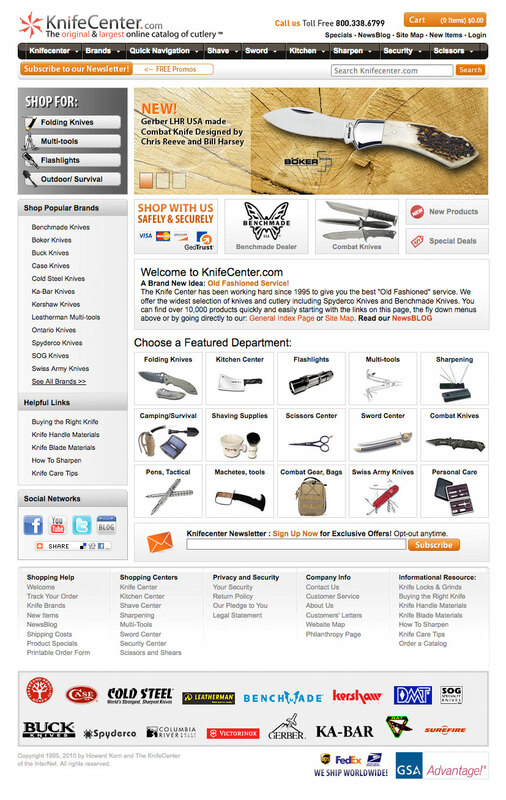 Second out of three phases of the design overhaul. 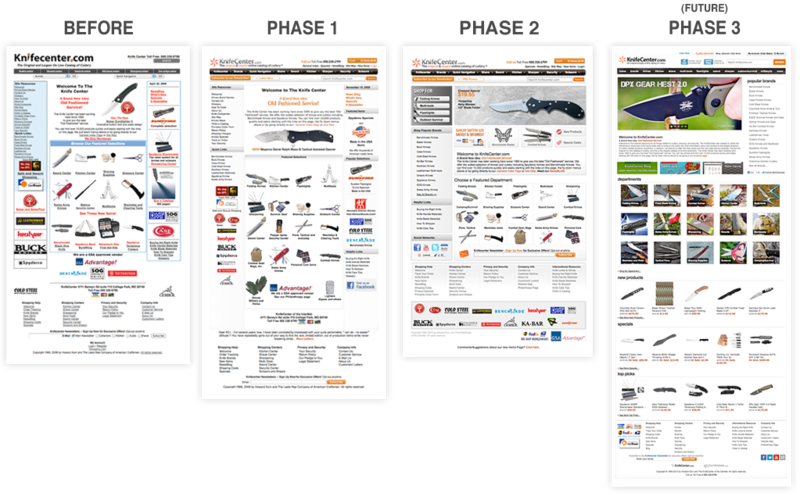 With hundreds of thousands of products within over nine categories and over 270 brands, improved product organization and navigation was required. In parallel, I helped lead updates within the wear-house as well, developing a product barcode scanning process to speed up packaging. 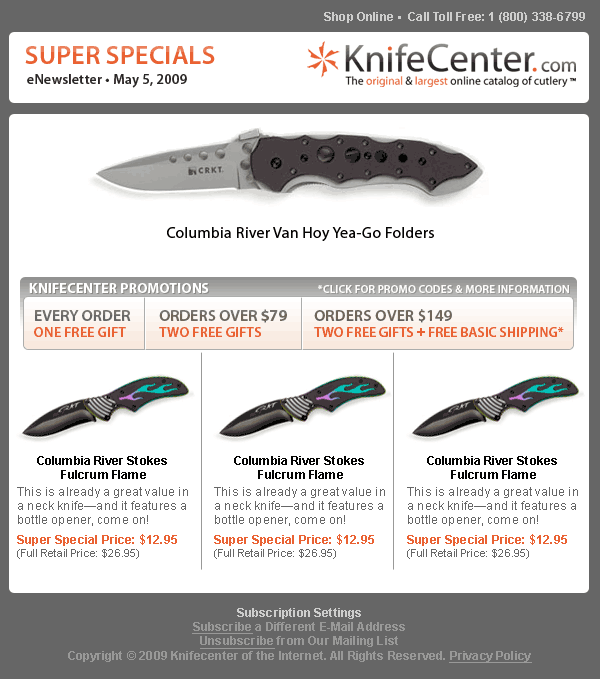 E-mail templates for weekly campaigns were given a new, clean look which maintained the new branding color scheme and with cleaned up coding, compatible and tested for all major e-mail providers. Along with weekly campaigns, follow-up e-mails we conceived, which are sent out after a customer receives their order and would influence them to write reviews. 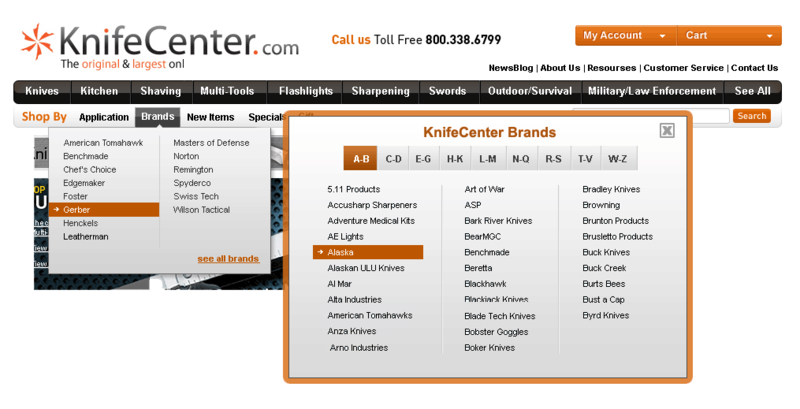 KnifeCenter went from having a thousand reviews in total to receiving about a thousand reviews monthly. Arguably one of the most important section of an online retail store and with clientele who may not be too familiar with ordering products online, it must be extremely simple and easy to use. 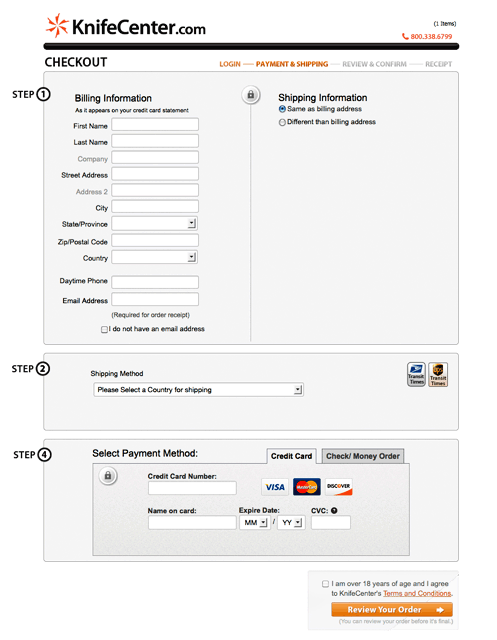 We opted for a one-page checkout structure (other than the confirmation page). 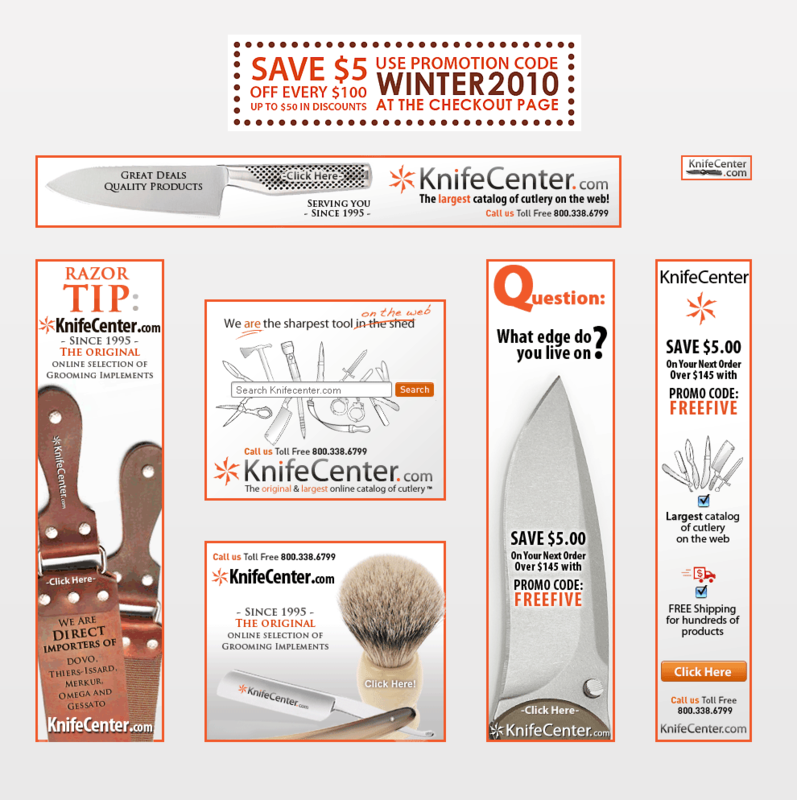 Along with e-mail campaigns, there were also in-house promos, banner ads, print ads in blade magazine and much much more. 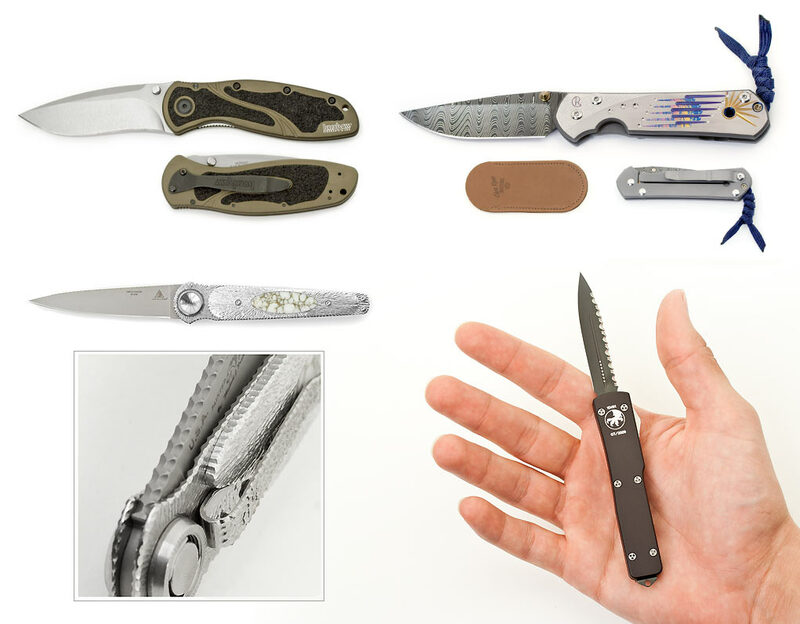 Sometimes product manufactures wouldn’t always provide photos for online display so I would take my own as official KnifeCenter photos, documenting a process for future employees to follow.